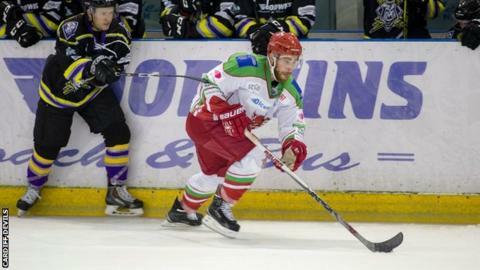 Cardiff Devils joined Nottingham Panthers at the top of the Elite Ice Hockey League after two impressive wins over the weekend. After beating Belfast Giants 6-3 in Cardiff on Saturday, Devils followed up with a 6-2 victory at Manchester Storm. Guillaume Doucet scored twice against Storm, with Joey Haddad, Andrew Lord, Tyson Marsh and Tomas Kurka also on target. Devils net-minder Ben Bowns alsoe starred with a 36-save effort. The wins put the Welsh side on 24 points in the league, joint first place with the Panthers although having played a game more.